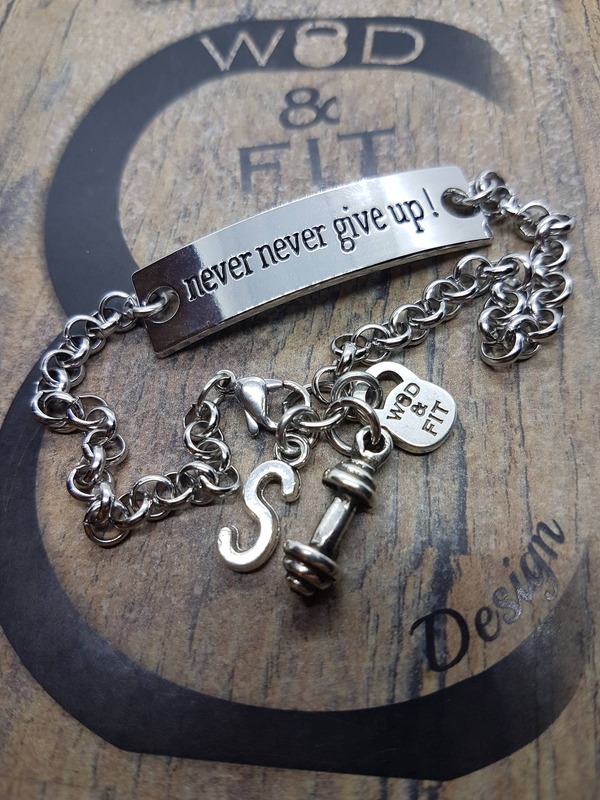 Bracelet Fitness "Never Never Give Up!" 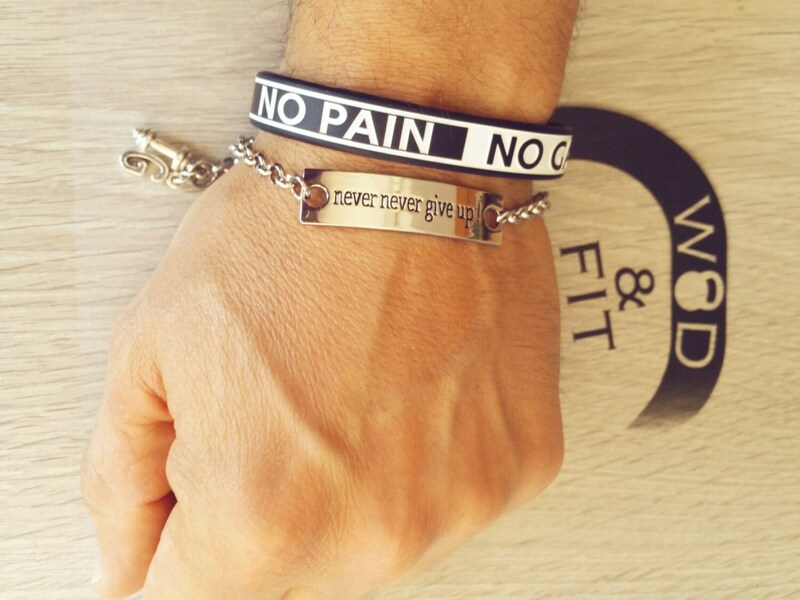 with Dumbbell and your Initial Leter. 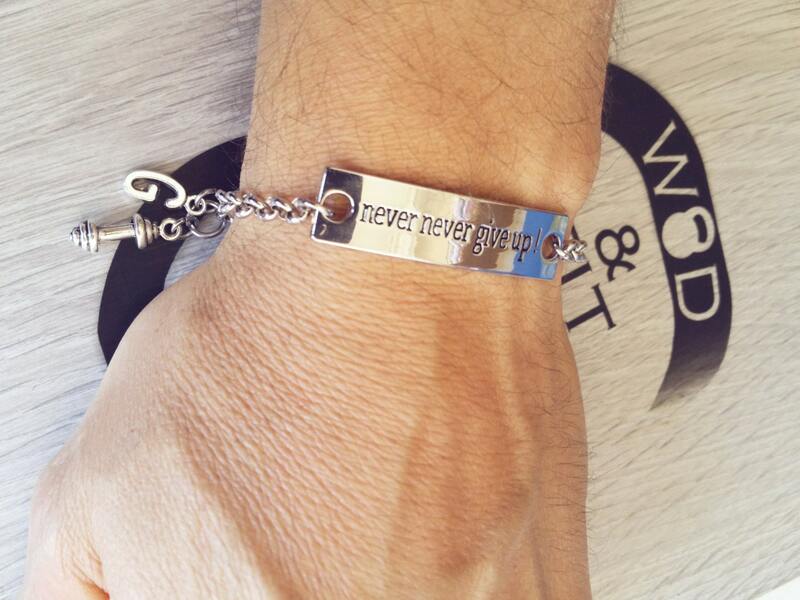 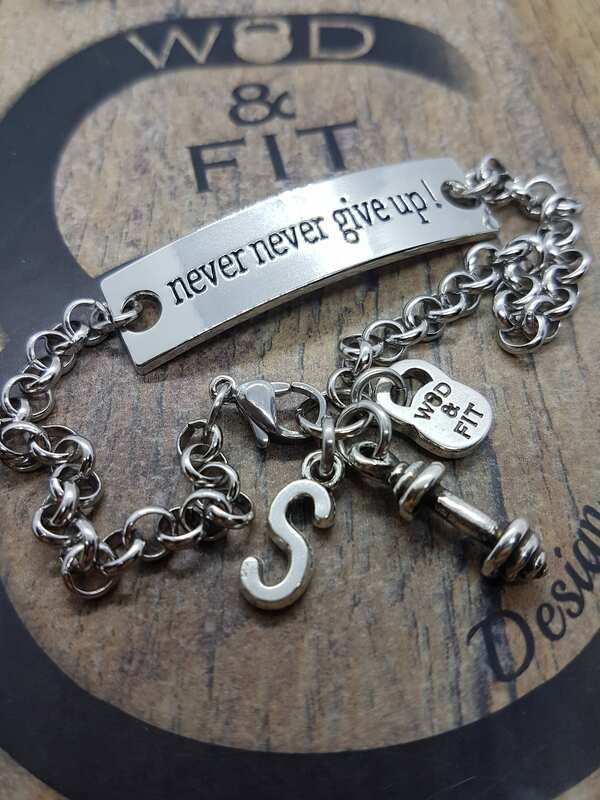 Bracelt stainless steel Adjustable (220mm) with the quote "Never Never Give Up!" 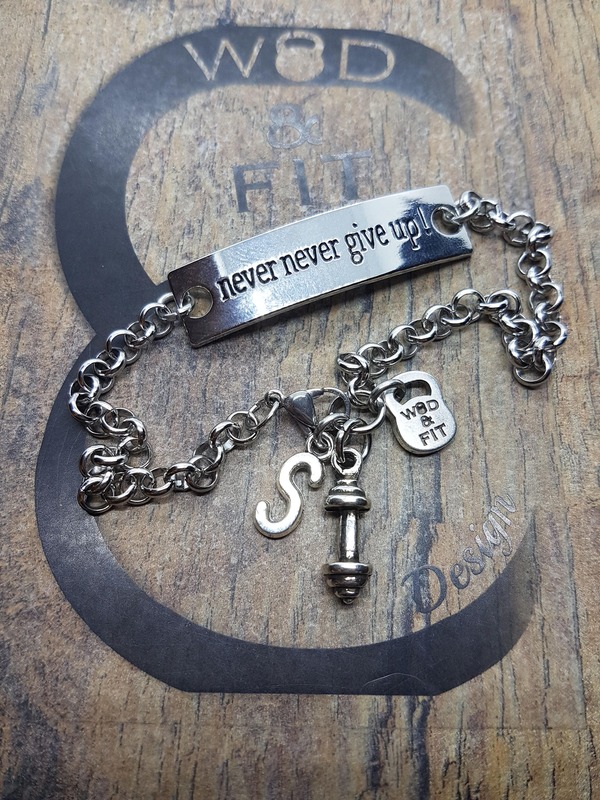 Dumbbell and your first letter.